This blog follows the property market in Warrington. 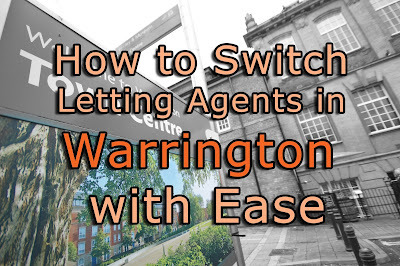 You'll find tips, guidance, and analysis that relates specifically to Warrington and you'll also find properties from all the estate agents in the town on here that may make decent investments. I own and operate Hamlet Homes, a Warrington Estate Agent, and if you're thinking of buying a property to let in Warrington, I'm happy to offer a second opinion. A little bit of good news this week on the Warrington Property Market as recently released data shows that the number of first time buyers taking out their first mortgage in 2017 increased more than in any other year since the global financial crisis in 2009. The data shows there were 787 first time buyers in Warrington, the largest number since 2006. I expect in 2018 that this increase of first time buyers will level out and maybe dip slightly as, nationally, figures demonstrate that first time buyer’s average household income was £40,691 and this represented 17.3% of their take home pay. Although, it might surprise readers that it is actually cheaper to buy than it is to rent at the ‘starter home’ end of the housing market. Many of you can remember mortgage rates at 12% ... even 15%. Today, at the time of writing this article, I found on the open market, 189 first time buyer mortgages at 95% (meaning only a 5% deposit was required) with 3 year fixed rates from a reputable High Street bank at 2.49% ... they even did a 3 year fixed rate 100% mortgage for 2.89%! Interestingly, looking at the other end of the market, the buy-to-let investment in Warrington was subdued, with only 161 buy-to-let properties being purchased with a mortgage. However, I must stress, whilst there is no hard and fast data on the total numbers of landlords buying buy-to-let, as HM Treasury believes only 30% to 40% of buy-to-let property is bought with a mortgage. This means there would have been further cash only buy-to-let purchases in Warrington – it’s just that the data isn’t available at such a granular level. In terms of the level of mortgage debt in Warrington, looking specifically at the WA1 to WA5 postcodes, there hasn’t been a great deal of change in this over the last few years. This is pleasing to see, as new mortgage debt is created by first time buyers, buy-to-let landlords and home movers themselves, that is being roughly equalled by the amount being paid off with mature mortgaged homeowners in their 50’s and 60’s finally paying off their mortgage. So, what does all this mean for the Warrington Property Market? Well, the stats paint a picture, but they don’t inform us of the whole story. 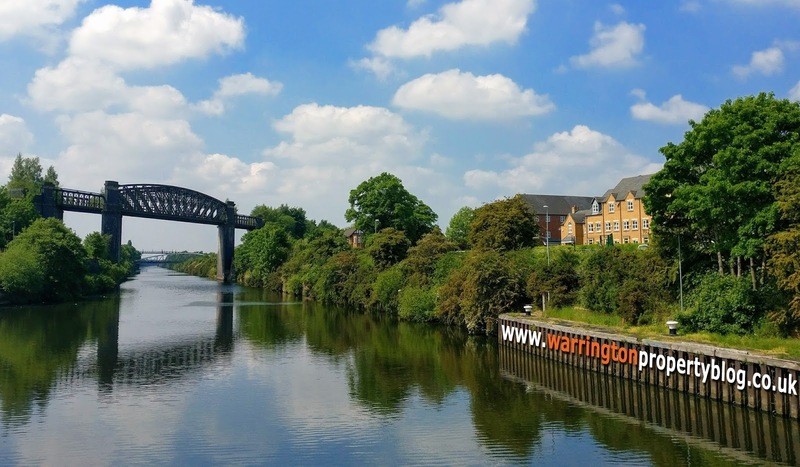 The upper end of the Warrington property market has been weighed down by the indecision around the Brexit negotiations and rise in stamp duty in 2014, when made it considerably more expensive to buy a home costing more than £1m. The middle part of the Warrington property market has been affected by issues of mortgage affordability and lack of good properties to buy, as selling prices have reached the limit of what buyers can afford under existing mortgage regulations. The lower to middle Warrington property market was hit by tax changes for buy-to-let landlords, although this has been offset by the increase in first time buyers. If you are in the market and selling now and want to ensure you get your Warrington property sold, the bottom line is you have to be 100% realistic with your pricing from day one and you might not get as much as you did say a year ago (but the one you want to buy will be less – swings and roundabouts?). I know it’s not comfortable hearing that your Warrington home isn’t worth as much as you thought, but Warrington buyers are now unbelievably discerning. So, if you are thinking of selling your Warrington property in the coming months, don’t ask the agent out a few days before you want to put the property on the market, get them out now and ask them what you need to do to ensure you get maximum value in the shortest possible time. I, like most Warrington agents, will freely give that advice to you at no cost or commitment to you. Email me on manoj@hamletwarrington.co.uk or call on 01925 235338. If you are in the area, feel free to pop into the office – we are based on G5, Warrington Business Park, Long Lane, WA2 8TX. There is plenty of free parking and the kettle is always on. Don't forget to visit the links below to view back dated deals and Warrington Property News. I have been in the Warrington property market since 2004, owning and running, the Hamlet Homes office in Warrington with my excellent team. I have always shared my thoughts on the local property market in Warrington with my landlords, but now I want to share with everyone with an interest in property in Warrington. In my blog, I will talk about what is happening in the Warrington property market itself, even looking at specific streets or housing estates. At other times, I will post what I consider decent buy to let deals. I like to look at the whole of market and give you, what I consider to be, the best buy opportunities. If you see a potential deal, and want a second opinion, email the link to manoj@hamletwarrington.co.uk and I will always give you my honest opinion on the property and its investment potential – good or bad. How Would a Hard Brexit Affect Warrington House Prices?